Please note that the Westside Trail is under construction through the fall of 2017. You will not be able to access the trail at this location until construction is complete. At that time, we will update our access point videos and descriptions. Harwell Street is another residential street that runs east-west from Joseph E. Lowery and dead-ends into the Atlanta BeltLine interim hiking trail. The future transit corridor – seen here in this video – is just a one-block walk from Washington Park. Walk south and you will cross Martin Luther King Jr. Drive and, in just a few more minutes, you’ll reach the Kroger Citi-Center on Cascade Road and Gordon White Park. See a map of where Harwell intersects with the Atlanta BeltLine. 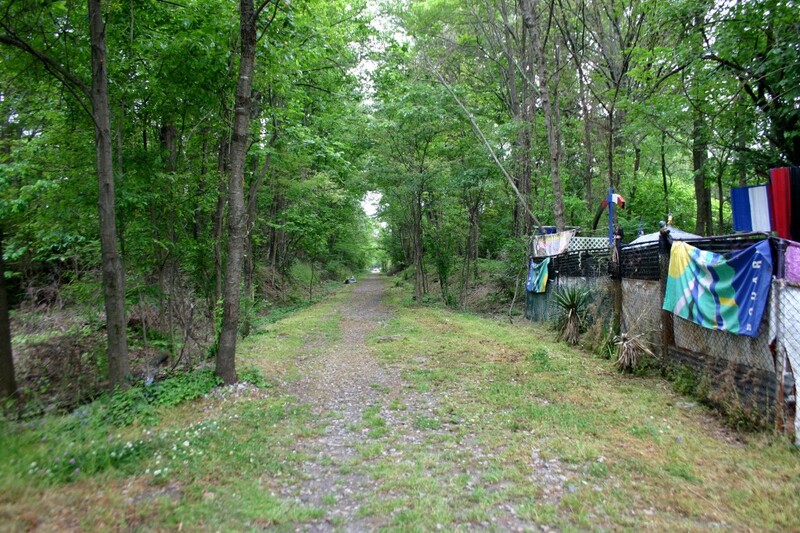 This is a view of the old railroad corridor looking south to Martin Luther King Jr. Drive. Currently, you can hike it as part of our network of interim hiking trails. Check out all of our ways to access the Atlanta BeltLine!